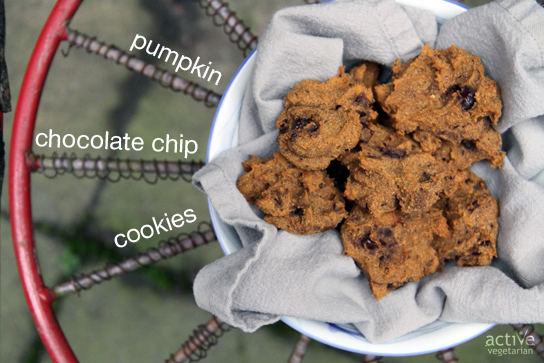 One afternoon while doing some work on the site a certain someone (ahem… Zuzana) kindly requested some cookies and the only ingredient she recommended was organic pumpkin puree so heres what I came up with! 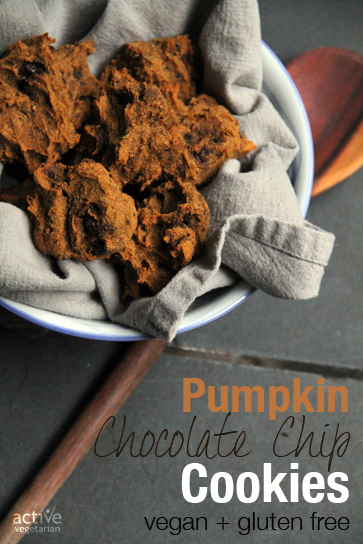 They are super quick, easy and tasted great of course! 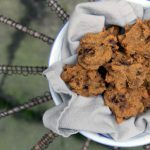 Completely vegan and gluten free, quick and easy cookies that taste delicious! Line a cookie sheet with parchment paper and lightly grease with coconut oil. Drop cookies by spoonful (I used about tbsp for each). Bake for 20 mins or until golden brown - I find sometimes pumpkin takes a little longer depending on your oven.